Home / QuiBidder of the Week – Blanca V.
Congrats to our new QuiBidder of the Week, Blanca! 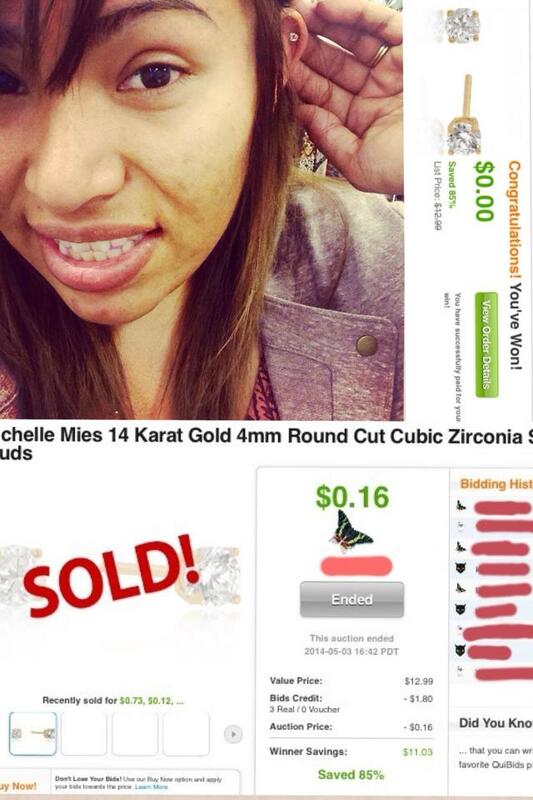 Scroll down to learn a little more about her experiences bidding (and winning) on QuiBids. Feel free to congratulate her in the comments at the end of this post! 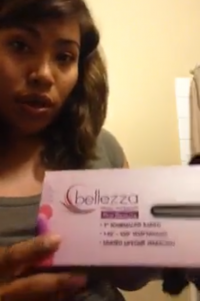 The next time your win comes in the mail, bust out the camera and take a selfie with your product. Then post it on our Facebook page, tell us a little bit about your experiences winning it in the description, and don’t forget to use the hashtag #QoW so we know you want to use your photo as an entry into the QuiBidder of the Week contest. Go here to learn more about this promotion. Just got these 14k gold CZ earrings! One of the recent winnings, they are more bright and sparkly in person, i plan on never taking these off, they are the perfect accessory for my every day use! Absolutely love them! This speaker is fairly loud for its size, perfect for computers and ipods to study to or have a little mini party in your room! The light is a really nice feature that can be turned on or off, the bass is really good also. Congrats again Blanca! Don’t forget to congratulate her as well in the comments below. 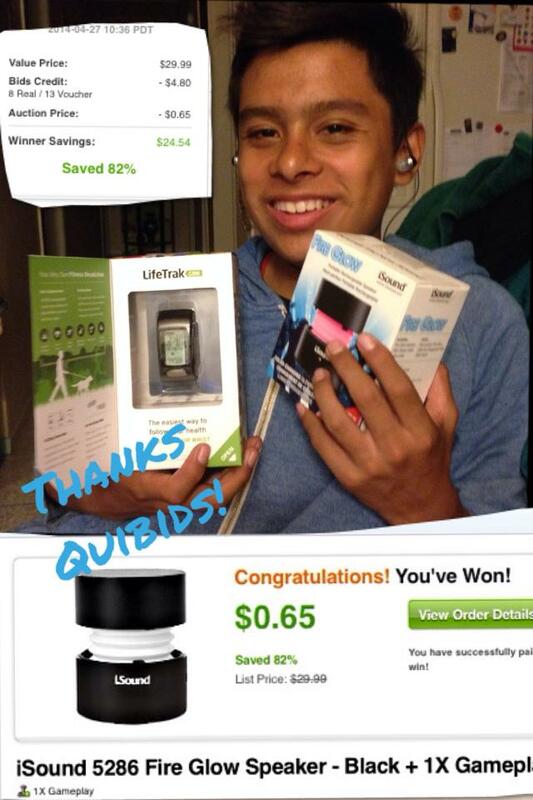 Go here to learn how you can be the next QuiBidder of the Week. Happy bidding, QuiBidders!